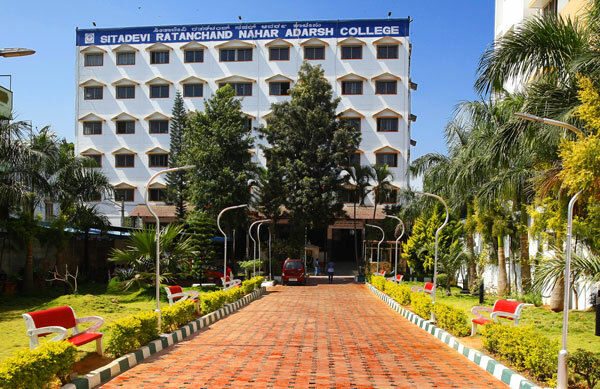 SRN Adarsh PU College, best PU college in Bangalore. At Adarsh Group of Institutions (AGI), we encourage students to discover their full potential to succeed and enjoy a rewarding career in future. Our well-qualified faculty, well-researched pedagogy and a positive learning environment focus on the overall development of the students. AGI is a reputed educational establishment based in Bengaluru that provides high-quality education amalgamated with world-class infrastructure. SRN Adarsh PU College is one of the best PU colleges in Bangalore that prepares the candidates for a successful future ahead. The institute has an excellent infrastructure to foster all round development of the students. The spacious classrooms and excellent infrastructure provide a motivating learning environment to the students. Subject wise seminars will be arranged. Personality Development and Communicative English Classes. Why SRN Adarsh PU College? Our objective is to impart the relevant and value-based education in the ever-changing world scenario so that our students are empowered to play challenging roles across the globe. We are one of the top PU colleges in Bangalore offering high-quality education and knowledge to make the students confidently face the challenges of today’s highly competitive landscape, and make them responsive individuals to achieve success. Adarsh PU College is one among the top 10 PU colleges in Bangalore that has a dedicated placement cell to guide the students to find the best career opportunities. The institute guides and counsels the students to make the best career choices suiting their skills and talent. As a part of the curriculum, summer internship programs are also organized with a business entity for 6-8 weeks period. The placement department assists students for their internships in various organizations. Guest lectures, live projects and industrial visits are also organized by the department where the members from the organizations interact with the students. The placement cell also shares the profile and other relevant details of the students for placement in various private and public sector organizations.